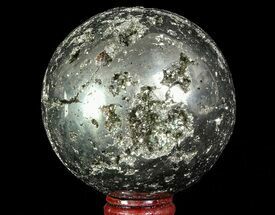 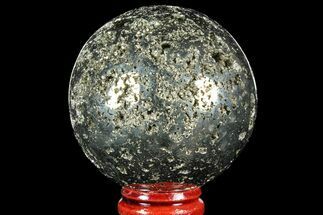 This is a chunk of pyrite (fools gold) from the mines of Peru which has been cut and polished into a sphere. 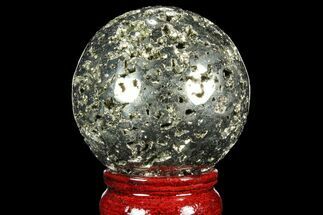 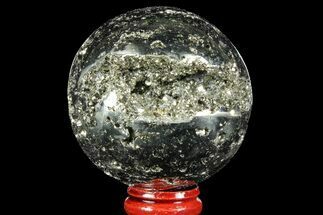 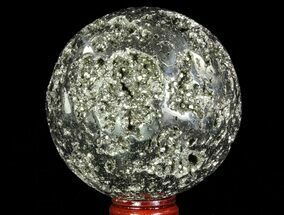 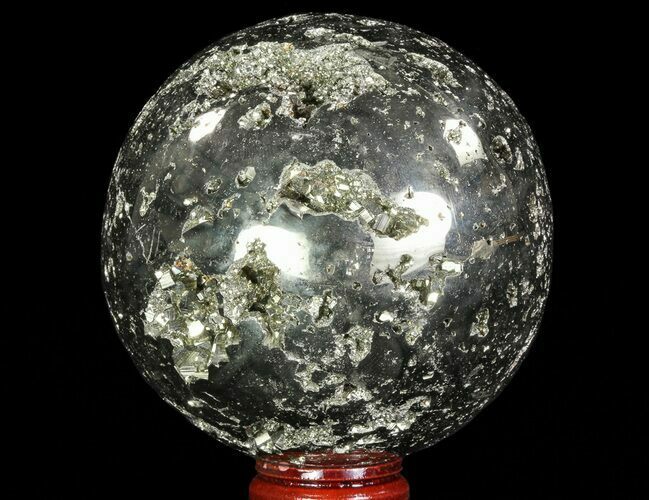 The cavities within the sphere are full of small pyritohedral pyrite crystals. 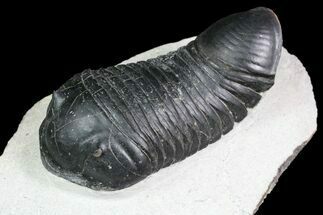 A really cool piece.